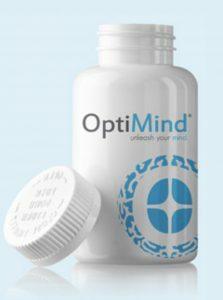 I know you are wondering what is so special about the optimind pill and why it has brought so much buzz in the nootropics industry. Right? You are also wondering what it is, if it is even FDA certified, how much it goes for and the best place you can buy it to test it out yourself, right? Well, my optimind review will help you get more information than that. I will be tackling almost all aspects about it like the ingredients, benefits, side effects, pro’s and con’s, the best place to buy, the right dosage for you, optimind vs qualia, optimind vs mind lab pro, customer reviews of it and my final thoughts on it. I believe this short review will serve you to the fullest extent and help you make a wise, informed decision. And if you find some crucial information on it that you wanted to have that has not been handled here, feel free to drop a comment down here specifying the actual aspect, and I will get back to you the soonest. Agreed? For a product like this, you would expect quite a number of brain boosting ingredients that have been seen to work for years. And you are surely getting many of those here. You also get 385IU of Vitamin D, 500mcg of Vitamin B12 and 1.315g focus blend of the other ingredients. If you look at them, you will see most of the ingredients well known for effective brain boosting effects have been used. You will start feeling the effects 30 minutes after you have had it. And as it hits 1 hour, the effects will peak and have you working with high focus and great energy levels as well. The tasks you often find daunting and extremely boring, you know, typing emails and all that, you will be doing them in minutes. You will also get high focus and ability to make quick and perfect decisions that you would probably take a few hours to figure out when you are all plain. This pill has been found quite useful by a good number of brain supplements enthusiasts. I got to look through a number of customer reviews of Optimind from a number of places and the kind of vibe I got was average. There was a huge number 0f people saying that the supplement worked great for them. Some said they noticed huge boost in energy, sharp focus and mental awareness. Others said it helped them have more than 6 hours worth of productive time without taking breaks. The saddest thing about it is that, there was also a fairly huge number of people who weren’t really happy with it. The most common complaint I found about it was the poor customer service. Also, the 14 days free trial the company gives for the product is usually followed by a monthly billing of $75, which was hard for most people to get back. Either way, I would say when it comes to the effectiveness of the product, it is average. I can’t really say it will or will not work for you because it depends on the people who take them, their health conditions and their expectations of it. You should take 2 pills of optimind before you get on the things you have planned for the day. I recommend taking it in the morning, this is the best thing to start with as you will be over the roof with stuff throughout your day. You are also advised to take the pills with water. See, the product has high amounts of caffeine as a typical cup of coffee, so you will simply want to remain hydrated. Als0, to avoid building up tolerance for it, I recommend taking it 4 weeks continuously, taking a 1 week break and then getting back to it for 4 weeks and then 1 week break and keep the cycle going. But, as always, I recommend you make sure that your doctor approves your taking it. It may not be as good for you as it has been for other folks out there, especially if you are on other medications, or you have some health problems, you’re pregnant, you are nursing or even have other hidden health issues. To be on the safe side, let your doctor give you the go ahead first before you use it. We now get to the the abilities of the ingredients and what you will be getting from them. Tyrosine is best known for increasing mental performance. Soldiers seem to love it as it helps them get peak performance mostly when they are stressed out. It greatly improves alertness, helps you get into a joyful mood and reduce fatigue as well. Vinpocetine is an ingredient that is very popular in handling brain related diseases that interfere with your thinking abilities, such as Alzheimer’s disease. It is known to help with enhancing your memory and increasing blood flow in the brain. It also improve the functioning of the mitochondria and is sometimes used to relieve pain. Phosphatidylserine, another great ingredient, improves your learning abilities and helps your memory retain information for a long time. Vitamin D3 has a reputation for boosting mental performance, that is why it’s used here. Aside from the mental benefits, it is also used to increase brain health, optimize hormones and testosterone levels, and give you lots of energy. Caffeine is a stimulant which means it will get you up and running as it increases your mental alertness even during fatigue and drowsiness. Bacopa monierri was used decades ago to help boost the memory and also with lowering high stress levels. It has abilities to increase retention capacity. Alpha lipoic acid has been extensively used in the weight loss industry as it comes with wonderful weight loss benefits. People think of it as a six pack abs ‘quick fix’. More to that, it helps increase your energy levels and boost your memory. Vitamin B12 is used to increase mental performance, energy levels and improving moods. It is pretty useful as well in reaction of bodily enzymes. Sulbutiamine is used to handle Alzheimer’s disease, to improve memory, reduce fatigue, weakness and depression. Taurine gives support to the general functioning of the central nervous system and eyes as well as ensuring good regulation of minerals like calcium in the cells. Moreover, it is used by folks to treat Attention Deficit Hyperactivity Disorder (ADHD). Huperzine A improves your sleep, fights free radicals, improves the effectiveness of your brain and in neuroplasticity. GABA here has been used to increase the levels of GABA in the body to help you avoid getting anxious, imbalanced moods and even keep epilepsy at bay. And while I’m the kind that likes highlighted benefits, I’m sure this will help you get all the benefits you will be getting from optimind at a glance. If I were to compare optimind with qualia mind, I would say that qualia mind is a but far ahead of optimind. It has more more than 20 ingredients that are all proven to be very effective for boosting cognitive abilities. On top of that, Qualia mind has no side effects if you take the proper dosage unlike optimind that has a couple. Although Qualia mind is far more expensive, the price is well worth the effect you get in return. So, I would recommend going for Qualia mind. Mind lab pro is another great nootropic that has increase its fame in the industry. It is known to increase focus, memory and your whole cognitive function. The good thing about it is that it doesn’t have caffeine, GMO, allergens and soy not to mention it is actually very friendly to vegans. Its formula is very powerful and great research has been done on the ingredients used. The exact amount of each ingredient in Mind lab pro has been indicated as opposed to Optimind that doesn’t share. Between the two, I would go for Mind lab pro. There are no serious side effects that may prove to dangerous, but there a few mild ones brought by the presence of some of the ingredients. For instance, due to the presence of Phosphatidylserine, you may get a mild stomach ache, but this doesn’t happen all the time. If you are also sensitive to caffeine, this might get you jitters and a bit of anxiety. Others include not feeling sleepy if you take it at night, uneasiness, and sometimes over stimulation that can be quite uncomfortable, especially if you overdose. So be careful with the dose. 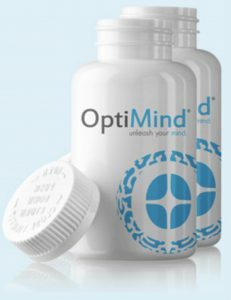 You can get optimind at www.amazon.com. Their shipping is awesome and they have many other products you might have planned to buy today, meaning you can order them altogether. Amazon prime is also another provision I recommend you check out. Really great stuff. Want to see what someone who has tried out optimind has to say about it? Then you should watch this video below. 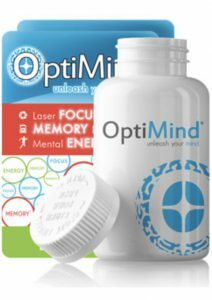 Personally, I would say that Optimind is a good nootropic because the ingredients are some of the best and the good customer ratings show people are seeing results with it. However, when it comes to the way the customer service platform is working, it can be very confusing and discouraging for people who want to work with it. Not being sure whether you will get your refund is something I wouldn’t want to have when I am testing out the supplement for the first time. Also, if you have any questions or want help with anything related to nootropics, please feel free to leave your note below and I will be more than happy to help you out.